Since the 90's, Gaurav Sinha, Founder & CEO of Insignia Worldwide, has achieved international recognition and acclaim for his expertise in the travel and hospitality industries. Sinha is respected as both an innovator in creative strategy as well as a protagonist in his sector. Established in 2003, Insignia Worldwide has earned the enviable position of being the leading brand, communication and creative services agency, dedicated to luxury, travel and lifestyle brands. The agency boasts an exemplary list of clients with some of the world’s most revered brands, including, Jumeirah Hotels & Resorts, The Address Hotels, Conrad, Waldorf Astoria, Kempinski Hotels & Resorts, Fairmont Hotels, Hilton Worldwide, Starwood Hotels, Anantara Hotels & Resorts, Le Meridien Abu Dhabi, Armani Dubai, and Dubai Tourism. Headquartered in Dubai with representative offices in London, Delhi and Sydney, the agency currently works with over 60 hotels across 20 countries, 120 restaurants 30 lifestyle destinations. Sinha also launched Insignia Travel Media Group (ITMG) in 2008, the region’s only media buying company specializing in the travel industry. Following the success of ITMG, Sinha incorporated hospitality consultancy, Insignia Hospitality Solutions (IHS), within the global agency in 2012. In 2009 Sinha and his wife Lucy Bruce set up Harmony House, a day shelter for destitute children in India providing food, education and medical care for nearly 500 children as well as social support and vocational training to mothers and young women. Bruce has been awarded for her efforts in the ‘Humanitarian Category’ for the ‘Emirates Woman of the Year 2010’ and ‘Top 50 Most Influential British Nationals in the UAE 2013’ by Arabian Business. 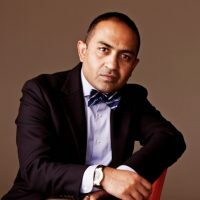 In 2012, Sinha established the region’s first independent luxury travel company, The Travel Attaché, for which he takes the seat as Vice Chairman. Next year sees the launch of ‘Arabian Travel Council’, a highly exclusive members club for the travel and hospitality professionals in the Gulf region. The launch of Insignia PR also marks Insignia Worldwide’s 10th anniversary. Progressive, insightful and influential in its approach, Insignia PR offers travel, hospitality and lifestyle brands a truly international perspective in addressing their brand communication needs. Sinha is also the Brand Ambassador for The Luxury Marketing Council’s Middle East chapter and is currently working on a new progressive luxury hotel concept, which is set to rejuvenate the light luxury segment within the hospitality industry.